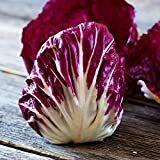 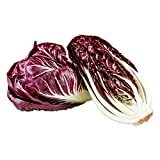 Radicchio growing herbaceous leaf plant of the genus Cichorium also known as Italian chicory or red chicory, Radicchio perennial deciduous plant also used as medical plant, can grow in temperate, mediterranean or subtropical climate and growing in hardiness zone 4-10. 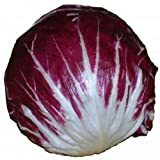 Leaves color green, inner leaves grow like head with color red with white vein. 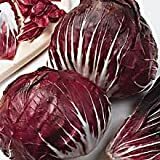 Radicchio Seeds - 300 mg - Zesty! 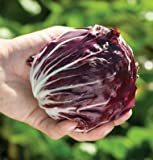 Green leaves, inner leaves grow like head red with white vein.